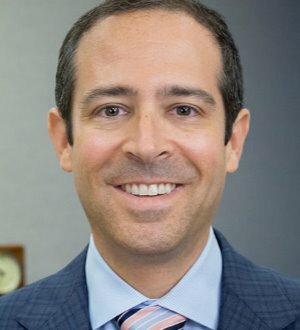 Jay Rosenbaum is a partner in Nixon Peabody's Private Clients group and the leader of the firm’s International Private Clients team. Jay represents high net worth individuals and families both in the US and around the globe. Individuals and families are at the core of my practice, with a strong focus on international families. I also serve domestic high net worth families and have special experience integrating estate and business planning. I bring US-focused private client experience to the international marketplace. I advise families around the globe who require professional yet practical structuring of their assets and management of tax exposures in multiple jurisdictions. I also serve as an onshore US trustee for many international families. I advise many families, in the US and abroad, in their estate planning. I take a broad and long view of my relationships with my clients and work to ensure that clients’ hard earned assets are preserved and protected for the benefit of multiple generations. I serve as a trustee or executor for many of my clients and so steward the implementation of our planning over time. Early in my career my practice was focused on middle-market corporate transactions. I draw on that experience to develop integrated planning techniques for my individual clients who own businesses and require that strategies be implemented at the personal and corporate levels. I represent families and financial institutions when disputes arise in the context of estate planning and wealth management structures.